Wiremold OmniBox® Carpet and tile 2-Gang combination cover plate flange in gray color, is suitable for using with OmniBox® series floor boxes. 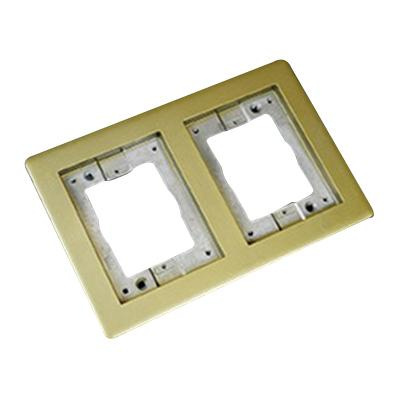 This rectangular cover plate flange in powder-coated finish, features aluminum construction. Screw mountable cover plate flange measures 9-1/16-Inch x 6-1/16-Inch. It comes with an integral design that keeps out water, dirt as well as debris from the power and communication compartments. Cover plate flange is UL listed, CSA certified and RoHS compliant.